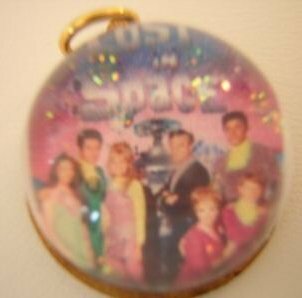 Here is a neat little charm from the original TV show...Lost In Space. 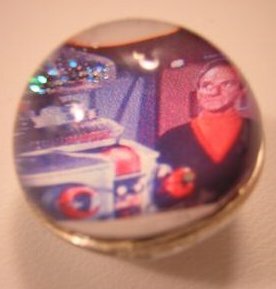 This is a new-vintage style lucite bubble charm with a great image of all the crew inside. They are dressed in their green and purple space suits. Background has a dusting of space glitter. Charm is set on a vintage brass setting that has a sparkly purple rhinestone on back. 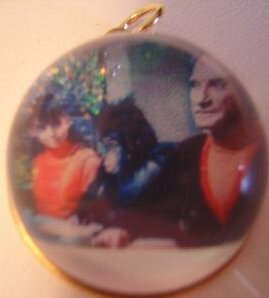 This little charm measures 1" and would be great on a key chain, bracelet, or necklace.